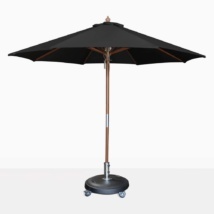 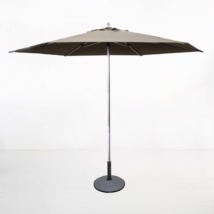 Have fun sheltered from the sun with our incredible range of Umbrellas from 8 to 11 feet! 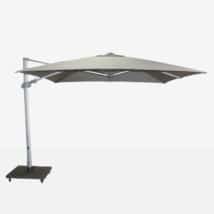 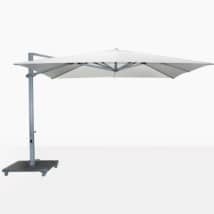 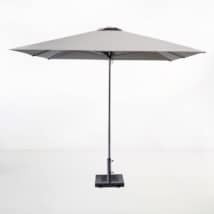 We have a terrific collection of top quality outdoor umbrellas; from Cantilever to fixed, round to square and in a beautiful selection of colors, so that you may select something that complements the surroundings. 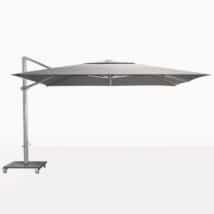 Make a gorgeous, relaxing haven for yourself underneath the security and comfort of an Antigua Cantilever Umbrella. Dot a couple of relaxing chairs and maybe a loveseat, set up a coffee table and an ottoman and you will have created a wonderful tranquil area that you can watch the day go by with friends or with your own company. 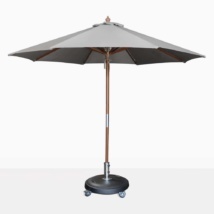 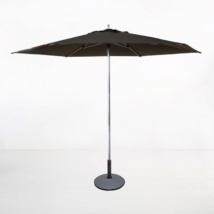 Try an 11ft Sunbrella Black Umbrella in your Raw Concrete Table for a chic, startling dining area fit for a feast! 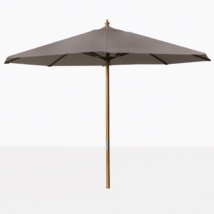 Does your café or restaurant boast a large courtyard? Keep your guests comfortable with a series of 8ft Olefin Square Market Umbrellas in stark white. 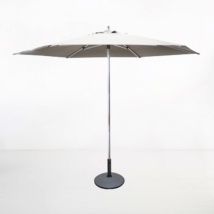 You’ll adore the look. Enjoy a long lunch knowing you will be protected from the suns dangerous rays under one of our incredible Sunbrella© umbrellas. The quality is 2nd to none. Our 8ft to 11ft Umbrellas range in materials from the more heavy duty Sunbrella©, aluminum and #316 Stainless Steel to the new improved market umbrellas with Olefin solution dyed fabric. 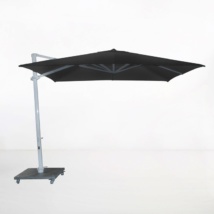 We have cantilevers and traditional pulley systems, pop up ‘brollies’ and fixed standing. 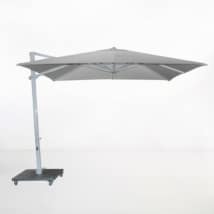 We love to give you options so that you can make your space unique! 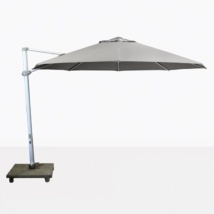 For the largest range of outdoor furniture, visit Teak Warehouse! 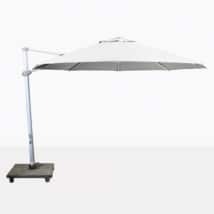 Our warehouses are huge, our sales assistants knowledgeable and our products the best quality. 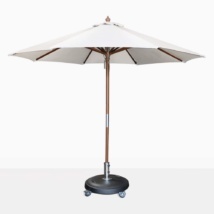 From Umbrellas to deep seating, dining, relaxing and lounging; we are proud of our divine collections which cater to a great number of different tastes. 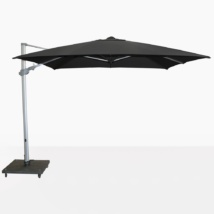 Call us today to discuss all the options to turn your space into a living area you will love!